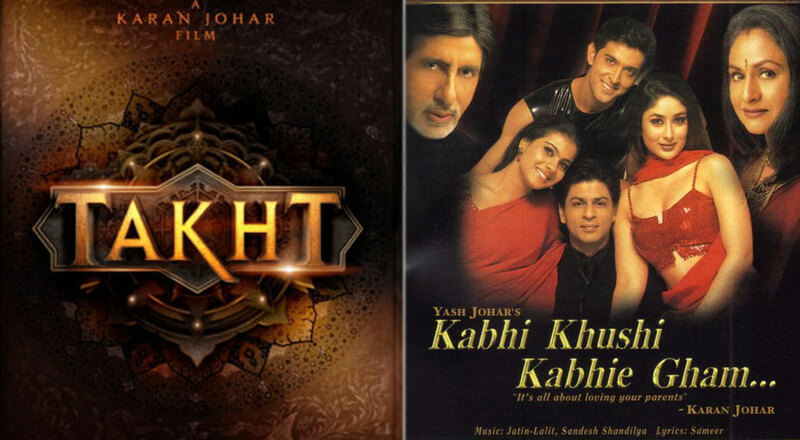 Filmmaker Karan Johar, who announced his upcoming directorial Takht yesterday, said that the upcoming multi-starrer, which is a period drama, will be the Kabhi Khushi Kabhie Gham of the Mughal era. Johar also revealed that the film is about two warring brothers and is based on facts, leading to speculations that that the film may be based on the war between Shahjehan’s son Aurangzeb and Dara Shikoh with Ranveer Singh in Aurangzeb’s role and Kareena Kapoor Khan as his sister Jahanara Begum. Karan admitted that he is quite petrified, as he has never tried this genre before. Takht, which is slated to hit screens in 2020, stars Ranveer Singh, Kareena Kapoor, Alia Bhatt, Janhvi Kapoor, Vicky Kaushal, Anil Kapoor, Bhumi Pednekar among others.